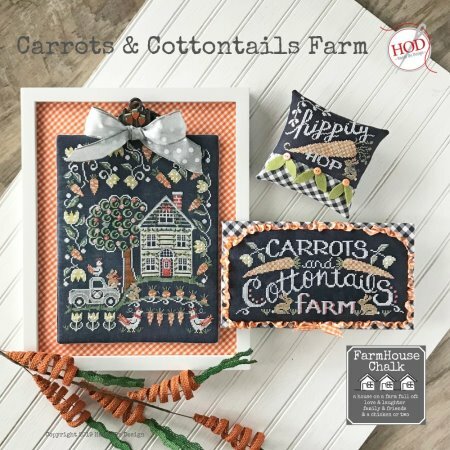 From Hands On Design, the first in a new series called Farmhouse Chalk, shown stitched on 32 ct Slate linen using Classic Colorworks, Gentle Art Sampler Threads, Weeks Dye Works, and DMC floss. Stitch Count: sampler - 128 x 161. sign - 128 x 59, small - 72 x 47. Fill in your email address below to get our email newsletter delivered directly to your In Box. All pages within this web site are subject to U.S. Copyright laws and are the intellectual property of Stitches N Things. The Bottom Line: You may not reproduce, copy or redistribute any design or layout aspects of this web site, individual elements of the web site design or any images, designs or logos without the express written permission of Stitches N Things.